How Cheap Can Lipitor Get? Try Free : Shots - Health News Some grocery chains are now offering free atorvastatin, the generic version of Lipitor, at their pharmacies. The cholesterol drug requires a prescription, but now you don't need insurance or cash to get the pills. Generic versions of Lipitor, like these made by Watson Pharmaceuticals, are now free at some retailers, as long as you have a prescription. Since cholesterol-fighter Lipitor went generic late last year, the price has plunged. You can pick up atorvastatin, the generic version of Lipitor, starting at about 50 cents a pill, if you buy a month's supply at Costco. A year ago, the brand-name version went for $3.50 and up per dose. And the brand-name pills still cost around $4.28 at Costco. If you've got insurance, you're only on the hook for a copay. Those average $10 for a month's supply of a generic prescription drug like atorvastatin, according to the latest survey of employers' health insurance coverage by the Kaiser Family Foundation. But there's an even better deal: free. This month, Meijer, a privately held retailer based in Grand Rapids, Mich., started offering free atorvastatin at its pharmacies. You have to pick up your prescriptions in person. Grocery chain Wegmans is offering free atorvastatin, too. Does it make business sense? "On its face, it looks like a clever strategy," Richard Evans, a health industry analyst with Sector & Sovereign Research, tells Shots. "Nontraditional mass merchant retailers with in-store pharmacies can offer widely used generic meds at little or no markup, which presumably will drive traffic elsewhere in the store." Traditional drugstore chains, he says, can't easily match the deals because profits they make dispensing generic drugs are a bigger part of their bottom lines. Walmart, which got the cheap generics train rolling a half-dozen years ago, and Kroger offers a bunch of prescription drugs, including rival cholesterol medicines, for $4 a month. 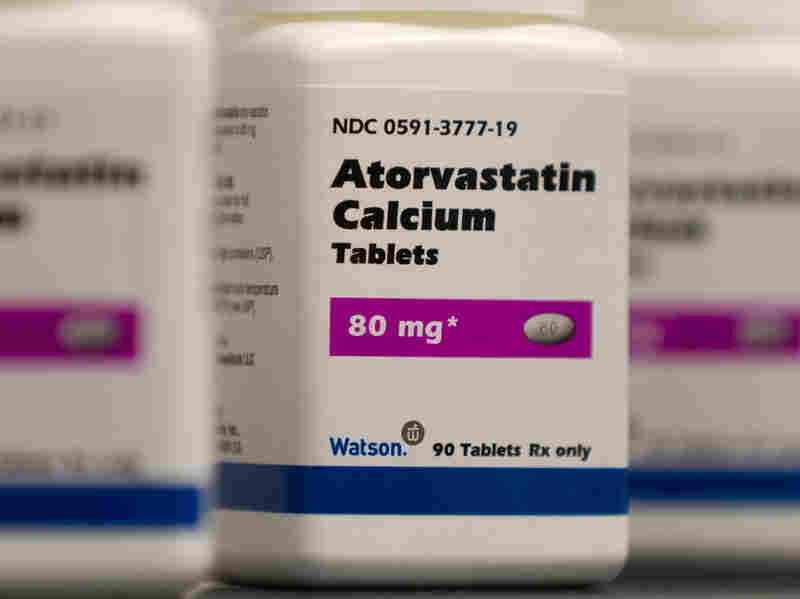 But atorvastatin, according to those retailers bargain lists, isn't yet among them. Atorvastatin isn't the first giveaway. Meijer has been offering free antibiotics for a while. Other stores have too. The Centers for Disease Control and Prevention raised concerns about how some retailers were promoting that deal, a few years ago. Although the drugs are available only with a prescription, public health officials worried they might be overused. How's the atorvastatin deal going for Meijer? "We are privately-held and we don't disclose sales, profit or cost numbers," company spokesman Frank Guglielmi wrote in an email to Shots.